51% reported that the number of arguments they both had with their mate changed after the wedding. 52% reported that their tendency to be critical of their mate changed. 54% reported feelings of self-confidence changed after marriage. 42% reported that they found marriage to be harder than they expected. 47% reported that their own family changed after marriage. 58% reported that their attitude towards work changed. The first year is a year of learning, sharing and adapting. Theses changes make the "Honeymoon" period, Hell on Earth for most couples. Remember, marriage counseling can help with a competent marriage counselor. Many couples get help 6 years after they need it. Most divorces occur after 7 years of marriage. 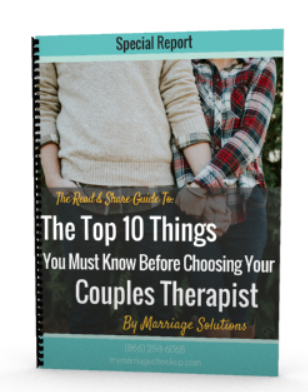 Don't wait to get the help for your marriage that you need.